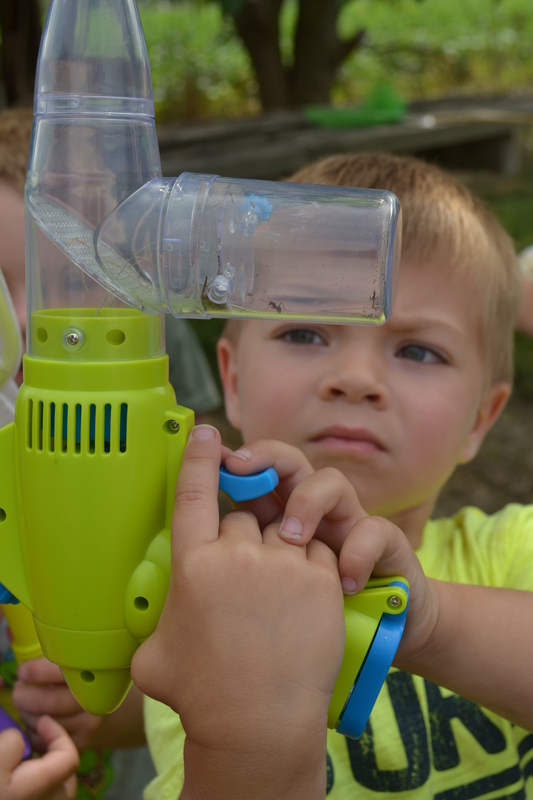 “No dream is too big, no dreamer too small,” says the movie, “Turbo.” At Dani’ Dreams, a lot of little hands plant the seeds of big dreams through innovative activities and events each year at Hancock County’s only outdoor education center. Teachers, Scout Leaders, and other community groups, contact Dani’s Dreams Outdoor Education Center to schedule your specially designed educational opportunity. We’ll tailor your experience to your needs at NO CHARGE. Contact Donna Griffin, director, at dgriffins@netzero.com or 317-640-4430. The highlight of Dani’s Dreams Earth Day Event was a special presentation by Mrs. Deb Weiler’s fourth grade students at Sugar Creek Elementary in New Palestine. They are partnering with Dani’s Dreams on a composting project and are the perfect example of how young people can truly “Dream It – Do It” and share that knowledge with others. Thanks so much Mrs. Weiler and her smart and caring students – Sarah Adam, Sierra Patrick, Madison Schmitt, Mia Thomas, and Laney Scott. Dani’s Dreams is all about growing, discovering, becoming – little seeds are planted, take root and reach toward the sky. 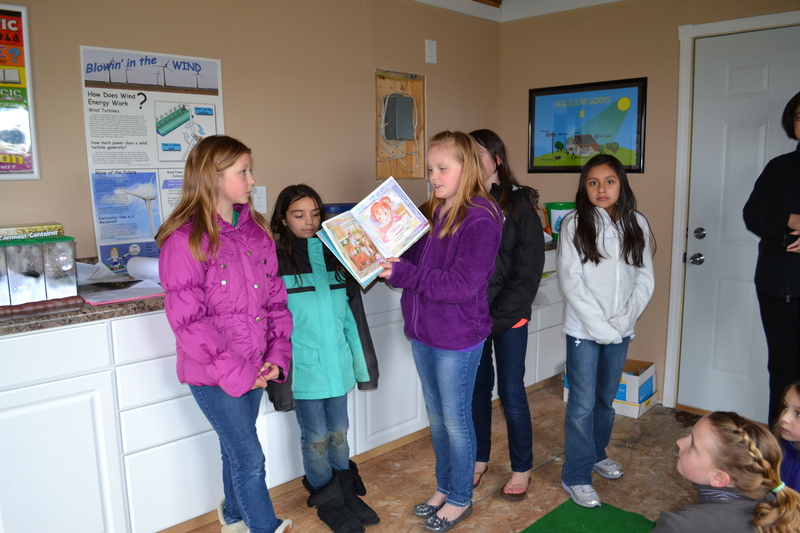 The Go Green Discovery Center opened April 12, 2013, is in the seedling stage, changing and morphing to meet the needs of Hancock County schoolchildren. Now it is the site of meaningful, environmental activities, crafts and demonstrations for all students in Hancock County. Watch it Grow! Hancock County students put their talents and creativity on display for the annual Dani’s Dreams Outdoor Education Center T-shirt design and essay contest for 2013. Ali Kinder, a student at Zion Lutheran School is the winner of the T-shirt design contest. Kinder’s design was featured on T-shirts for the event. Second place went to Katie Taylor, a fifth grader at Zion Lutheran School and third place winner was Rylee Morris, sixth grader at Zion Lutheran School. 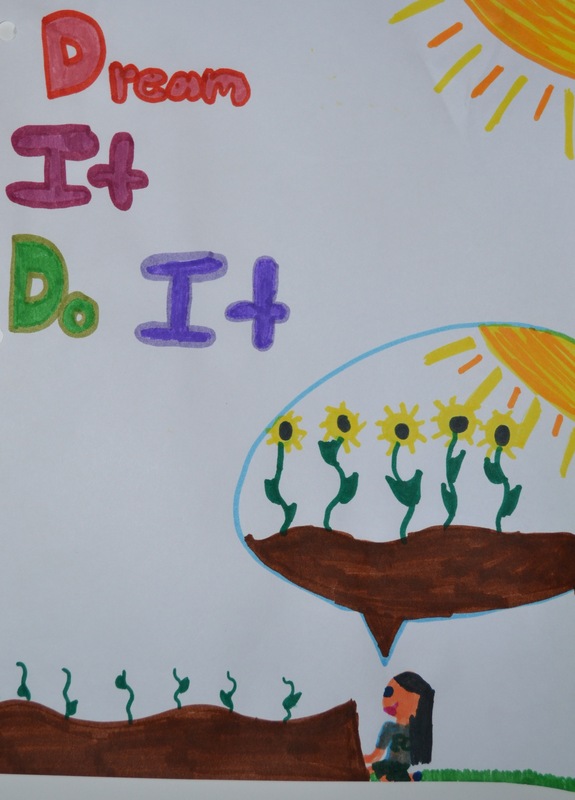 The students’ interpretations of the “Dream It – Do It!” theme brought color and life to race T-shirts and even jump started a new organization that brought peace, comfort and hope to others – Emma Mann’s Peace Bear Project. Emma is the 2013 Essay Contest winner. Brock Turner, 2013 Lutheran High School graduate received the Dani Griffin Innovation in Education Memorial Scholarship. 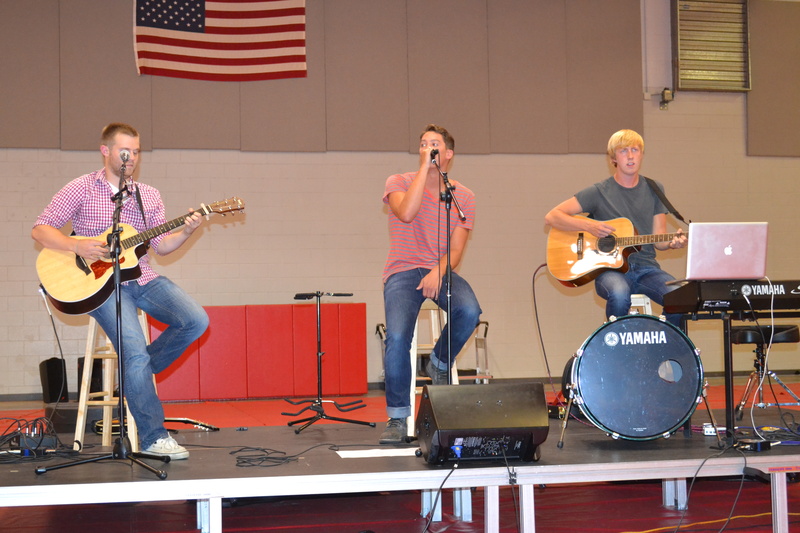 Up-and-coming band, Northern Nights set the stage Aug. 2 with a benefit concert at Zion Lutheran School. The next morning, more than 100 runners/walkers braved a damp summer morning to race/exercise on the cross country course and stadium track at New Palestine High School to raise funds for environmental education in Hancock County. Dani’s Dreams Club took root in 2013, as members filmed an informational video and environmental reports, planted and tended vegetables and flowers in the Community Garden and went on a bug expedition. Join Dani’s Dreams Club when it expands this year to include an online component as well as the popular after school events and activities. Be a part of our reporting team, which will be covering environmental issues in videos to be aired in the Go Green Center and also creating an online newsletter. Check out the next post for the other five Top Memorable Moments at Dani’s Dreams in 2013! Today’s the Day – Get Ready for Winter at Dani’s Dreams! TODAY IS the last event of this busy year at Dani’s Dreams Outdoor Education Center, from 3:30-5 p.m. We will be getting ready for winter – planting fall bulbs, making bird feeders, painting bird houses, and talking about migration and hibernation. We’ll also be decorating for the holidays, making and hanging ornaments, and stringing popcorn. Make an ornament to take home for your tree! Hot chocolate and Mama Nita’s special cinnamon pizza will be keep everyone warm and fed. All children in Southern Hancock are invited – Dream It – Do It! 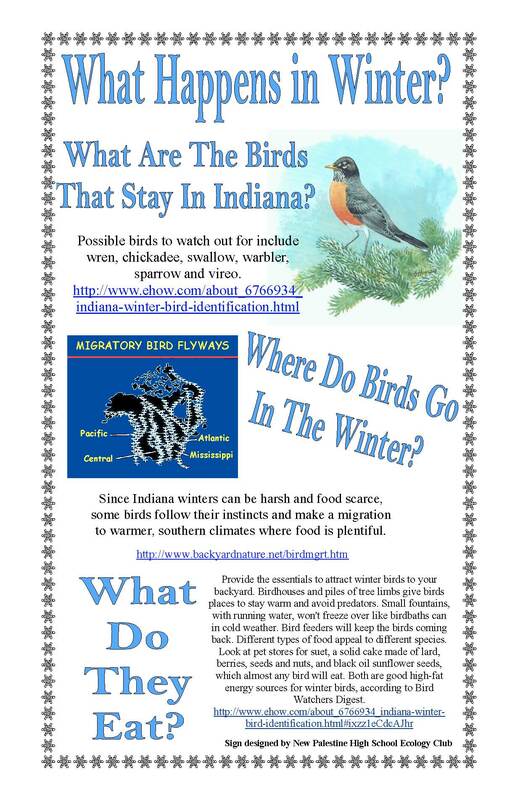 Find out what will happen this winter and how God’s creatures and our environment adapt and change. Dream It, Do It! You can make a difference in your world. Join us after school at 3:30 at Dani’s Dreams, 6513 W. 300S, New Palestine. 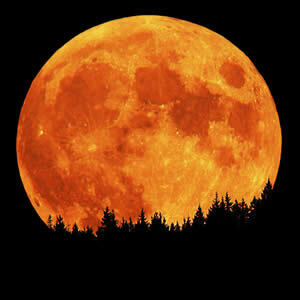 The Harvest Moon is the full Moon that occurs closest to the autumnal equinox. At this time, crops such as corn, pumpkins, squash, and wild rice are ready for gathering. Today from 3:30-5 p.m., Dani’s Dreams Outdoor Education Center will be celebrating the harvest moon and the people who make the harvest happen – our farmers. Local farmer Brian Kleiman will talk with the children about his career, haywagon rides, Farmer’s Market snacks and Farmer’s Almanac activities are planned. The first 20 students will receive a FREE Dani’s Dreams T-shirt. A limited number of Dani’s Dreams Dream It-Do It race T-shirts will be available at half price – $5. The class with the most participants (at least 5 people) who attend and sign in will receive a $50 classroom grant. Email dgriffins@netzero.com for more information. It’s all part of God’s wonderful plan! 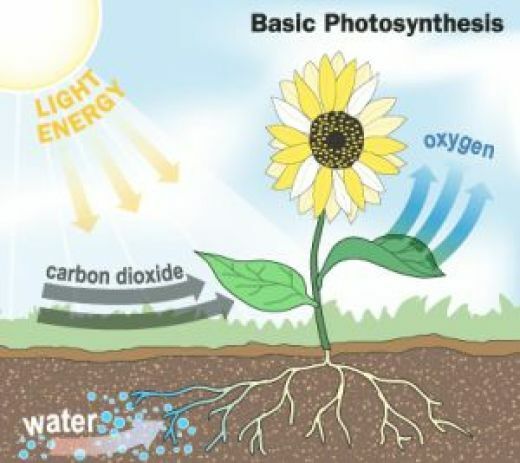 Let us know how your garden is growing… Post your pictures and comments here or on the Dani’s Dreams Outdoor Education Center’s Facebook page. The first 10 kids to post a photo of them in their garden will receive a free Dani’s Dreams T-shirt! They did it and so can you! Children at Zion Lutheran Daycare joined with Dani’s Dreams to plan and plant the four plots in the Community Garden at the Go Green Discovery Center June 14. Students then put on their reporter hats and will keep the community up to date with progress at the gardens. If your Scout, Daycare, Preschool or School group wants to have a unique outdoor activity or project, email dgriffins@netzero.com or call 317-640-4430 and Dani’s Dreams Outdoor Education Center will work with you to make it happen – Dream It – Do It! 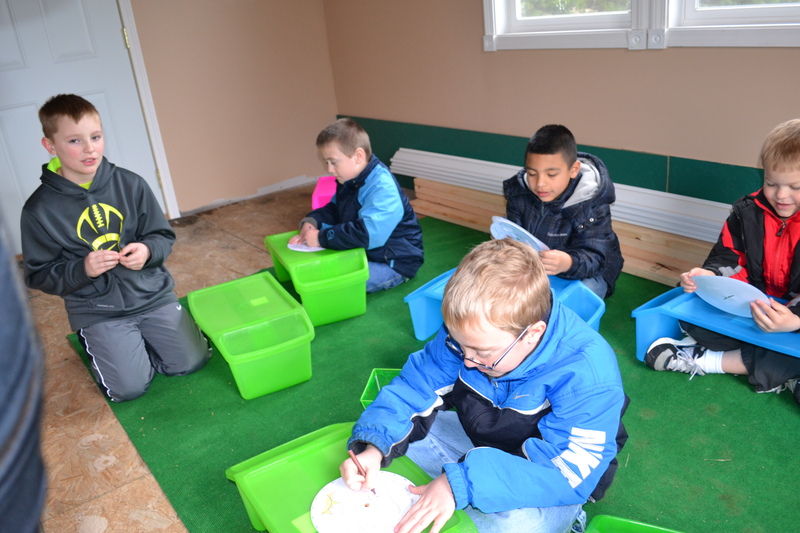 Recycling and the water cycle became hands-on learning experiences for Zion Lutheran School students thanks to Dani’s Dreams Outdoor Education Center. Dani’s Dreams partnered with the Indiana Department of Environmental Management to bring special Earth Day presentations to all grades on April 12. Thanks to Stacy Jones, of IDEM who conducted the presentations. Dani’s Dreams Outdoor Education Center is a resource for Hancock County schools, teachers, Scouts and all community groups for hands-on, innovative environmental education opportunities and state standards-based activities and projects. We’ll design a one-of-a-kind tour, activity or project for YOUR CLASS, based on YOUR NEEDS at NO CHARGE. Email dgriffins@netzero.com or call 317-640-4430 – Dream It, Do It! Dani’s Dreams is all about growing, discovering, becoming – little seeds are planted, take root and reach toward the sky. The Go Green Discovery Center is in the seedling stage, changing and morphing to meet the needs of Hancock County schoolchildren. Be a part of the process – meaningful, environmental activities, crafts and demonstrations are planned this Friday 3:30-5 p.m. We’ll end with a showing of “The Lorax” and snacks. Work is continuing on the Dani’s Dreams Go Green Discovery Center. The outside is nearly completed and inside the walls are going up and soon activities will begin. Remember there are seven learning centers available for area classes, preschools, scout troops and other community groups – Dani’s Dreams is FREE! We will design a lesson and activities around your class or group needs. Special activities will be held each month after school involving environmental education. Be a part of Dani’s Dreams team! For more information, email Donna Griffin, director, at dgriffins@netzero.com. This is your chance to make a difference in your community and grow environmental education in Hancock County! Sign up for the fifth annual Dani’s Dreams Walk/Run Aug. 4, 8 a.m. at New Palestine High School. 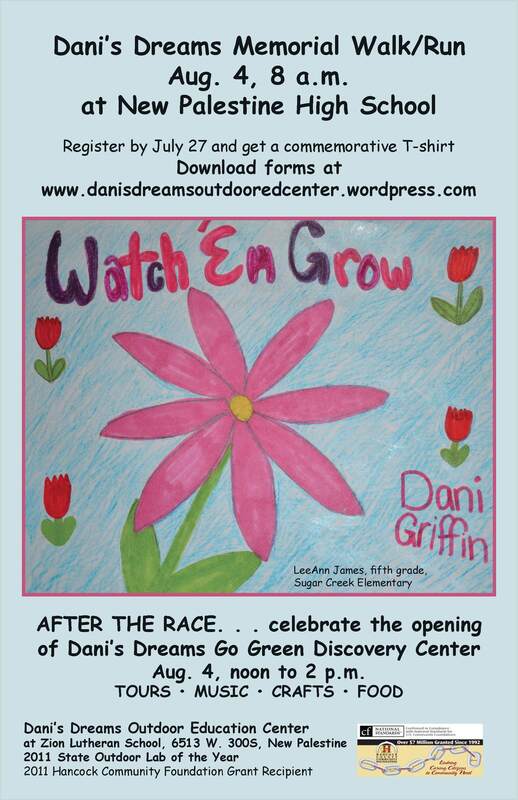 The event benefits the Dani’s Dreams Outdoor Education Center at Zion and the construction of our Go Green Discovery Center that will focus on environmental education for grades preschool through 8 in Hancock County – with a community garden, greenhouse, interactive exhibits and experiments in solar and wind energy. To sign up, download a form from the link below and mail it to Zion Lutheran Church and School, 6513 W. 300S, New Palestine, IN 46163. Forms are also on the Dani’s Dreams Facebook Page. Register for the 5K walk/run or 1-mile family walk that begins 8 a.m. Aug. 4 at NPHS and receive a cool commemorative T-shirt with this year’s theme, “Watch Us Grow.” The winning shirt is designed by Zion Lutheran student Katie Taylor. Registration for the 5K Run/Fitness Walk is only $20 Individual and $30 family. Pre-registration includes a specially-designed commemorative T-shirt; No T-shirts guaranteed for race day registration. Family registration includes 2 T-shirts. Pre-registration ends July 31. Registration after 7/31 and on race day is $25 individual; $35 family. NEW! Come to the Go Green Center’s Open House/Music Festival Aug. 4, 12-2 at Dani’s Dreams for a music festival from Zion youth, tours, crafts, snacks, demonstrations and a preview for teachers of the ways Dani’s Dreams can enhance hands-on science education. If you would like to perform at the music festival or help in any way, contact Donna Griffin, 640-4430 or email dgriffins@netzero.com.